Music and stories are brought to life during the annual Gatlinburg Christmas Tunes & Tales. This Winter Magic event is filled beautiful music, interesting characters and some of the best tales you've ever heard! Musicians began strolling through downtown Gatlinburg. Holiday favorites, both sacred and secular are presented. 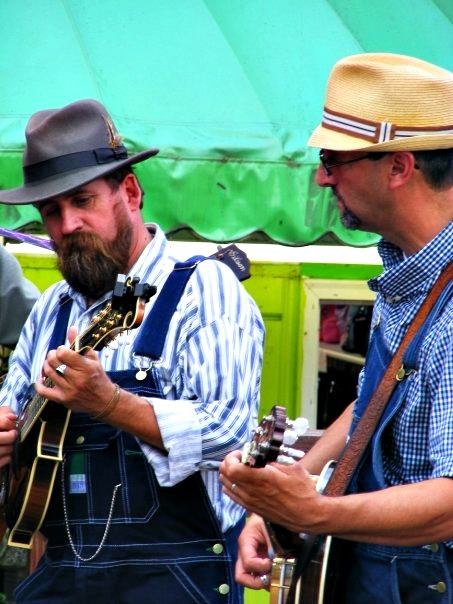 You'll hear music from different genres including Appalachia, Bluegrass, and Country. The convenience of being downtown makes this celebration all more exciting because you can enjoy shopping before the "Tunes and Tales begin! Or, enjoy a nice meal before the activity begins. There are lots of attractions in downtown Gatlinburg! Be sure to check those out! This exciting event, which is a segment of Gatlinburg's Wonder of Magic Christmas celebration offers free entertainment for the whole family! Carolers and storytellers come together in the city to perform throughout the holiday season. You'll be serenaded by a choir, and a Barber Shop Quartet dressed in Old Victorian clothing. Famous characters are known to show themselves during Gatlinburg's Christmas Tunes and Tales! Folks like Santa's elves, and Mrs. Claus normally attend the festival! And if it's not too close to Christmas, "the man in red" Santa Claus himself just might come around! 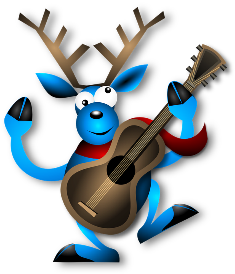 Frosty the Snowman comes "alive" for this event, and last, but certainly not least, Gatlinburg's famous mascot, Zeno the Bear will be on hand to entertain the little ones! Music & stories come alive during through gatlinburg christmas tunes & tales. There's always a lot of history to be learned about these mountains and the area's storytellers know how to tell all about in such a unique way! Their inspiring tales bring the Great Smoky Mountains to life so as to make your imagination run wild! You'll love hearing Bible stories, Native American stories, funny stories, scary stories, and old-time tales of the mountains. Some of these stories involve music. Gatlinburg Tunes and Tales is a festival filled with concerts. These are normally performed from 5:00 P.M. until 9:00 P.M. on Friday and Saturdays. The dates are November 29-30, December 7, 13, and 20-21. It's a good idea to dress warmly and bring a camera along. You'll want to create memories of this special occasion. Also, a cup of hot coffee, or a delicious cup of hot chocolate is sure to make this the perfect Winter Magic celebration! This event is FREE!